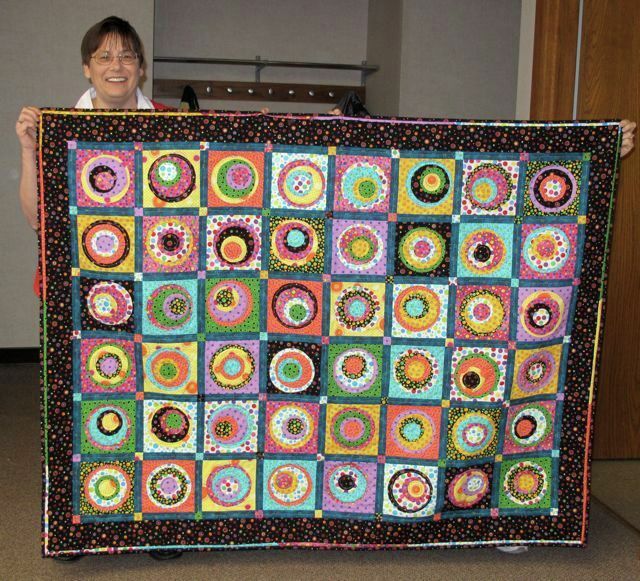 We have a wonderfully diverse group of quilters. Each shares with the group in their own special way. Have fun getting to know us. I started to quilt after I retired from Nursing as an LPN for 30 years. It was something that I could and like to do while I cared for my invalid husband. I have two children - a boy, Jim, and a girl, Teresa - and two grandchildren, a girl - Dr. Jamie Armbruster and Craig Armbruster, three step-grandchildren and eleven step-great grandchildren. I've recently moved to Grant, from, Greeley, CO in celebration of my husband Warrens' retirement. We have one son, Quinton and his wife Nicole, and two special grandchildren, Kyana and Isaac, who still live in Colorado. Warren was born and raised in Grant and always knew this was where he wanted to return. So here we are. I was "exposed" to quilting in 1995 when I saw a quilt thru the window of a shop in Broken Bow, Ne and inquired if it was for sale. Well, the shop owner stepped right up and said no, but we will sure help you make your own. And the rest is history, as I was immediately addicted. In that year I did finish the quilt in the window in my own color choices and it has adorned our bed ever since. I was so excited to find that there is a quilt guild in my new hometown and am looking forward to participating. My experience so far had been very motivating and inspirational. I started quilting when the kids were smaller..had sewed a lot of their clothes so had lots of scraps! Norbert and I have five sons and two daughters. I am retired from working for the county for twenty-eight good years. I do like to read except it cuts into my quilting time! I began sewing when I was 8 years old when I became involved in 4-H. I made all of my clothes during my high school and college years and made my wedding dress and bridesmaids dresses when I was married. As you can see, sewing has always been a very important part of my life. In the last ten years, quilting has become my passion. A year ago I, purchased my first long-arm machine and have been practicing and trying to perfect my skills in actual quilt finishing. I have quilted several small quilts for friends for practice. 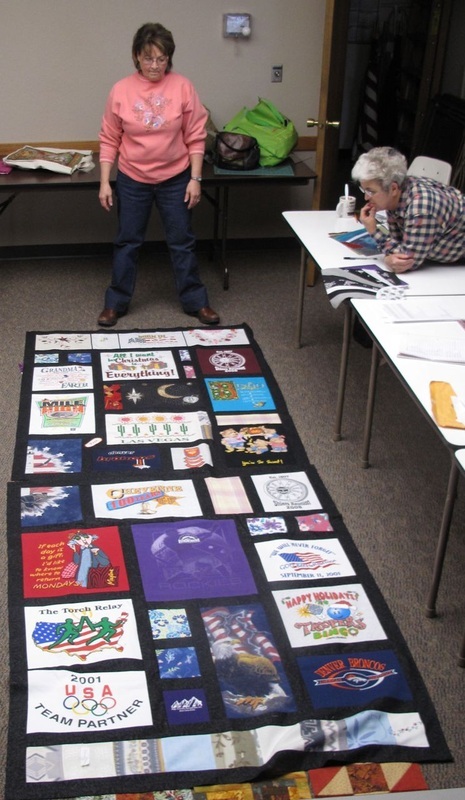 When I am not quilting, I am working at the Wallace School where I have been employed for 25 years as administrative assistant to the Superintendent of school. I also love working in my yard and being with my children and grandchildren, and following my husband, Larry, to antique tractor shows (where sometimes I can find a quilt shop not too far away!) My hope for the future is to always have one quilt on the long-arm, one at the sewing machine and one on the cutting board! I started sewing with my grandmother when I was young, then sewed in 4H on a treadle sewing machine I bought at a second hand store. I then sewed in Home Ec with wonderful teachers Jane Doud and Jane Hornung and made lots of my clothes when I was in high school, and even my wedding dress. After getting married and moving to Wallace, we had three daughters, Misty, Mandy, and Shiloh....and of course I sewed for them. I loved to do counted cross stitch, and tried my hand at refinishing furniture, reupholstering, stained glass, etc. I took a quilt class from our good friend and neighbor Carey Nelson in '79 & '80 and found I absolutely loved quilting! I made quite a few small projects, and several quilts for family and friends, even hand quilting several of them. I went to work for the US Postal Service and worked there for 28 years, retiring after serving as Postmaster for Elsie and then for Wallace. Jim and I live West of Wallace, right inside Perkins County, on our place we have lived since we got married in 1976. We raise cattle and enjoy the work horses and saddle horses we have. Our family has went on a wagon train every year except 1 since 1986, which has been fun ~ but definitely makes me appreciate those that loaded their belongings in a wagon and headed West for a new life! I love it where we are, and continue to enjoy meeting new people and spending time with people that have common interests, quilting being about my favorite. Jim and I have 6 grandchildren now and enjoy seeing what they are doing, and I am lucky enough to even get to quilt with a few of them as they are getting old enough to enjoy that! 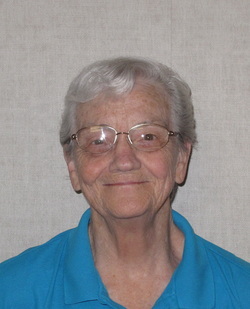 I'm Ellen Gillett, a retired teacher after 40 plus years. I've been quilting for over 25 years, and yes, I do have UFO's. 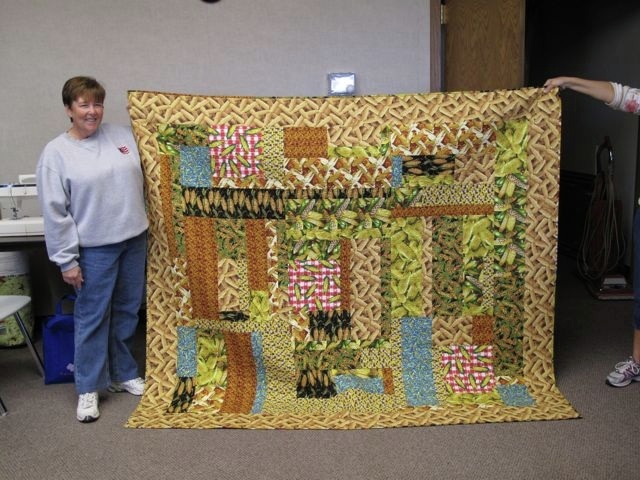 I've been a member of Grant's Quilted Leaf Guild since its inception. 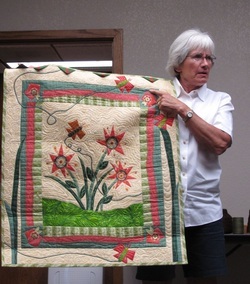 Hazel is a treasured member that has created beautiful hand quilted quilts - too numerous to count. A quilt made by Hazel. I became interested in quilting from watching my mother. She was a sewer, making clothes for the family and making quilts. I remember sitting by her side when she used a treadle sewing machine and later and electric sewing machine. Then I started sewing in 4-H and that led me into sewing for myself and later for my kids. Now, for the last five years, quilting has become a great stress reliever at times. I enjoy knitting , gardening, baking and outings with my family a great deal, too. I am married, have three grown children and two grandchildren. 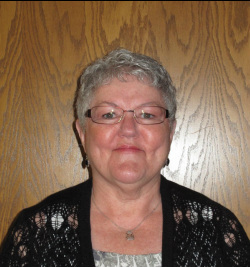 I am employed by Perkins County Health Services in Grant, Nebraska as an LPN-e. I have been quilting about five years and truly enjoy the entire process! I enjoy being a member of the quilt guild. I have learned so much from all the members. The knowledge and ideas everyone shares is priceless. 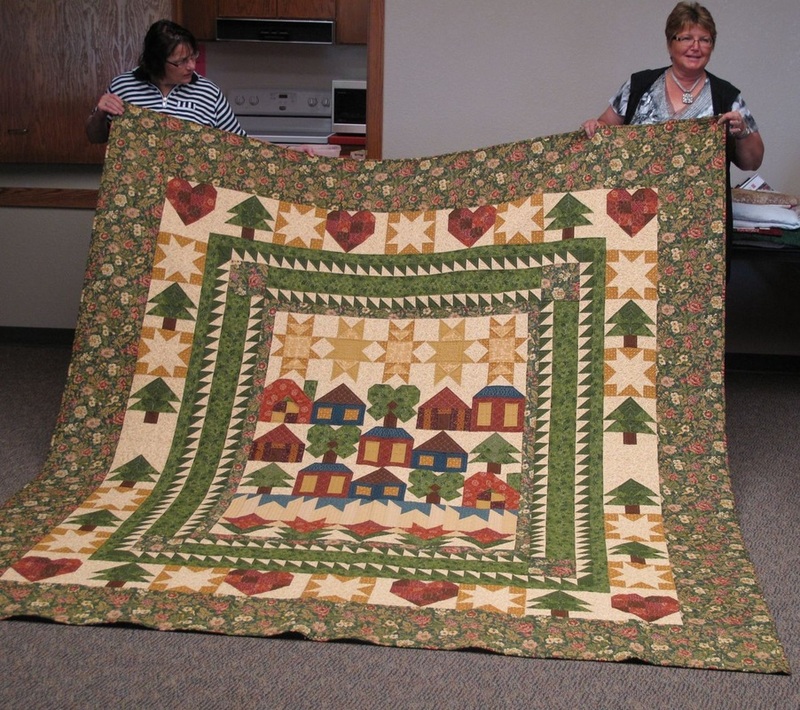 The programs, the charity quilting, the mystery quilts and the friendships are wonderful. I enjoy quilting with my friends and my sister. Tammy teaches full time, just taking a new position as kindergarten teacher at Perkins County Schools, and has a passion for quilting. 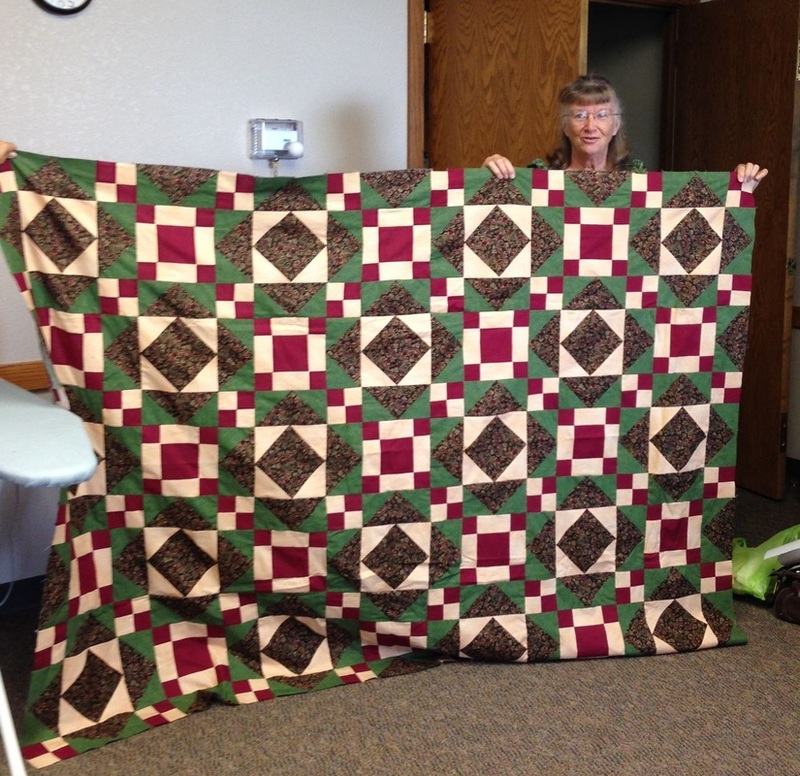 Tammy made this quilt at a retreat near Syracuse, NE. 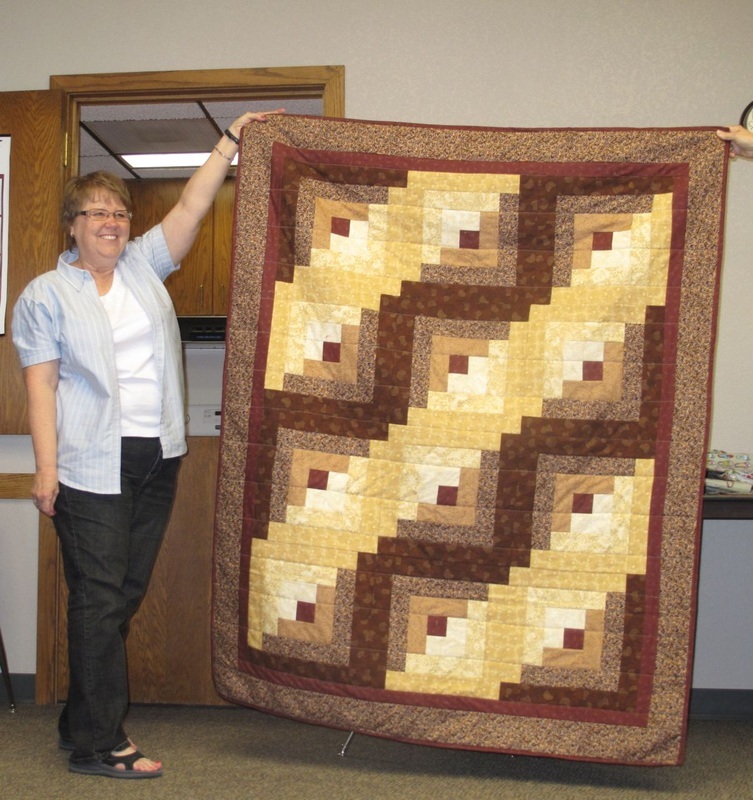 I started quilting when I moved to Ogallala in 2003. My husband works out of state so I have lots of free time to work on quilts. I also enjoy golfing so I divide my time between quilting and golf. 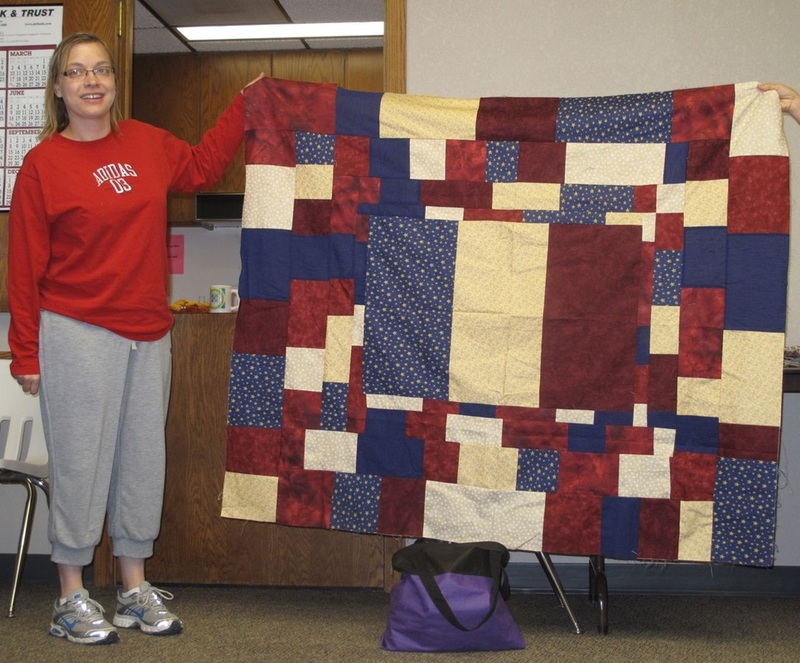 When my son was deployed to Iraq in 2008 I became involved with an organization called Quilts of Valor. We send quilts to wounded warriors and our guild has made 2 and they are now being used by these soldiers. It was a wonderful way for all of us to show our appreciation for all these men and women do for our country. I remember staying with my grandma, Carrie McCormick, when she would host a “quilting bee” in her home. 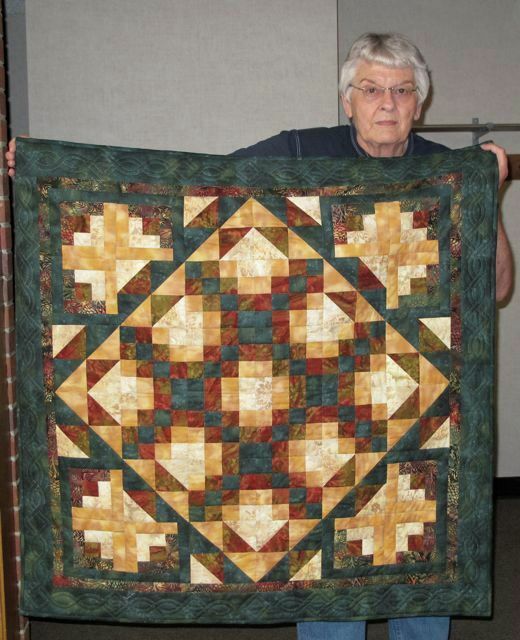 Grandpa Vic would put up the large quilting frame which seemed to fill the whole living room. Five to seven ladies would show up and hand quilt for most of the day. Even though I wasn’t very old, Grandma always invited me to join them. I often wondered if my uneven stitches were taken out after I left. :) The ladies were always so kind and encouraging to me.....just like everyone in Guild today! 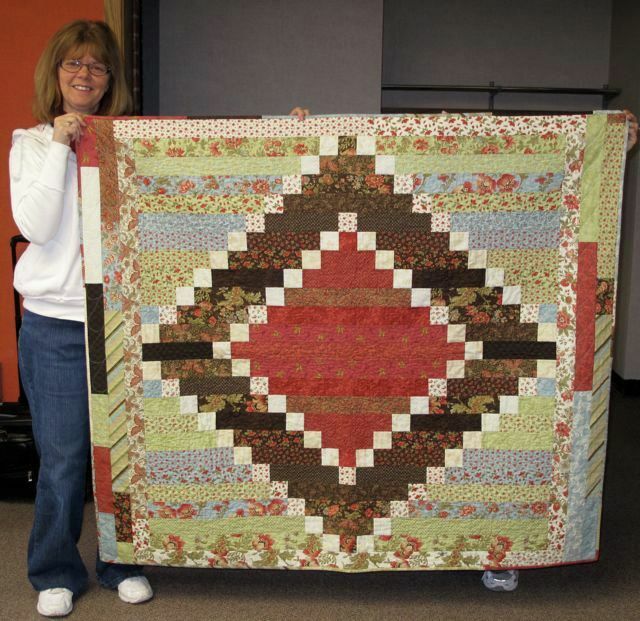 My dear friend Pennie has been such an inspiration for me to begin quilting my own projects! My husband and I have a daughter, Carrie, and a son, Jeremiah, and five beautiful grandchildren. I currently teach Kindergarten at Perkins County School. This will be my 40th year of teaching! In the near future when I retire I plan to spend more time enjoying by new hobby....quilting! 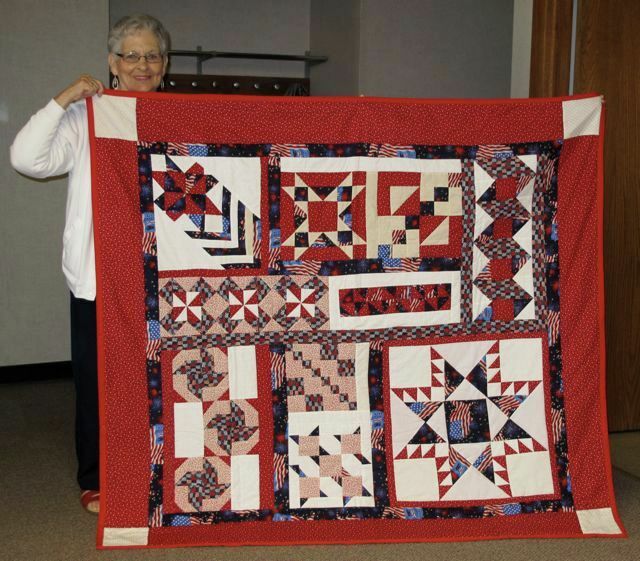 I have been sewing since I was five or six years old but didn't staart quilting until I knew I was going to retire after thirty-five years of teaching high school English and speech. Since then it has become an obsession, according to my family. My husband and I had two daughters and six grandchildren, five boys and one girl. Since my husband passed away in 2005, I have spent my time going to grandchildren's activities, traveling(including trips to Italy, France, Switzerland, and Greece), reading, and quilting, quilting, quilting!!! I was born and raised in Grant, NE. I have recently returned to Grant to raise my own family. My husband's name is Todd and we have a son, Austin, who was born in April of 2011. My family and I keep busy, especially during the summer, camping and fishing. I have been around quilting since I was little. 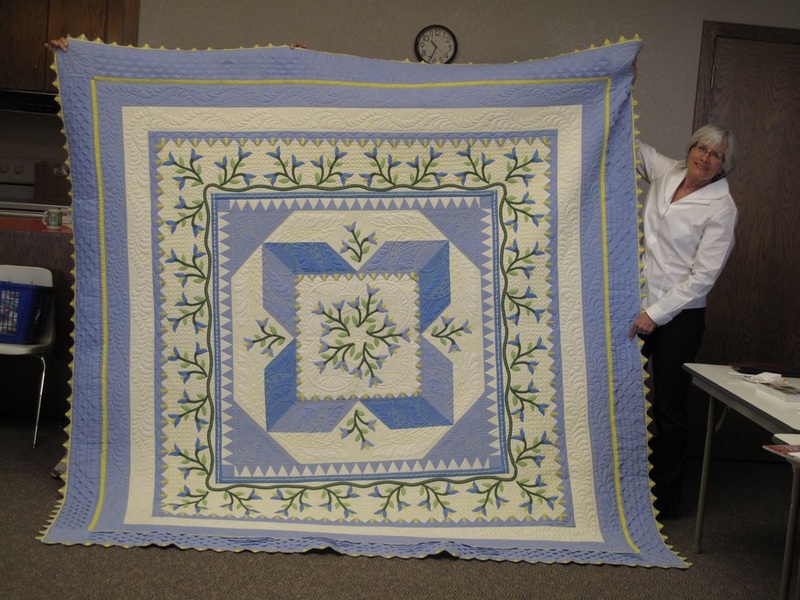 My mom and great-grandmothers are avid quilters and have had a big influence on me and my quilting. 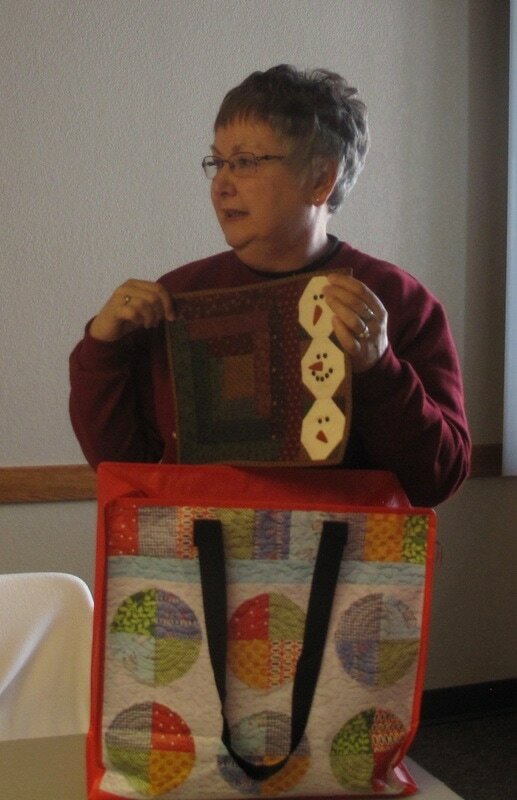 I became interested in quilting while I was working at United Nebraska Bank in Grant sometime in the 1980's. A fellow co-worker took me to a quilting class at Silver Thimble in Ogallala, and I was "hooked"! So I have been quilting about 30 years! Other hobbies I enjoy are gardening, reading, and spending time with our family. We used to golf but are no longer able to. Bernard and I have two sons and a daughter, all are married and we have six grandchildren..three boys and three girls; each of our children have a boy and a girl. Through the years I have made many quilts for all of them , and for many of my friends and continue to enjoy it. One of Darlene's special ones. One of my favorite quilts is my handquilted original with 12 applique blocks which I designed. 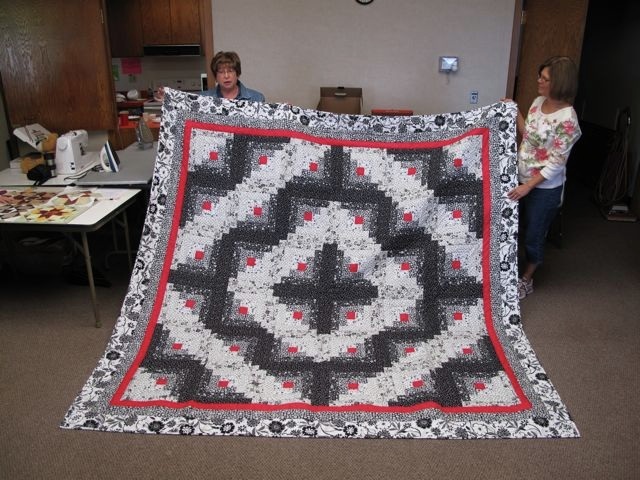 There are 6 plain blocks in the center quilted with a feather circle design surrounded by cross hatch. The setting triangles on the sides have a fan and flower design. 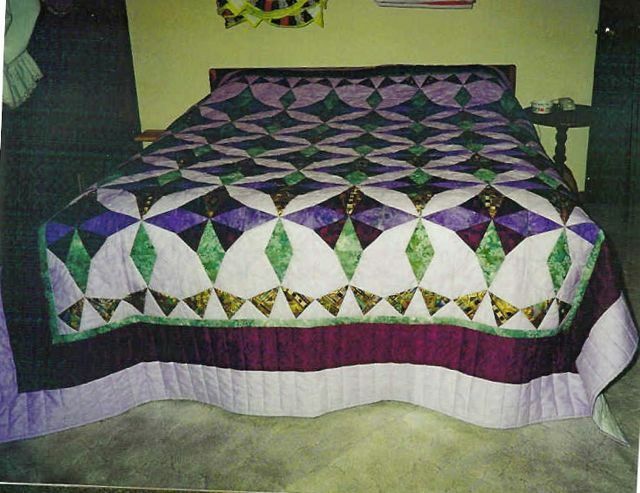 Years ago I saw a similar quilt in an old Lady's Circle Patchwork Quilt magazine and fell in love with it. 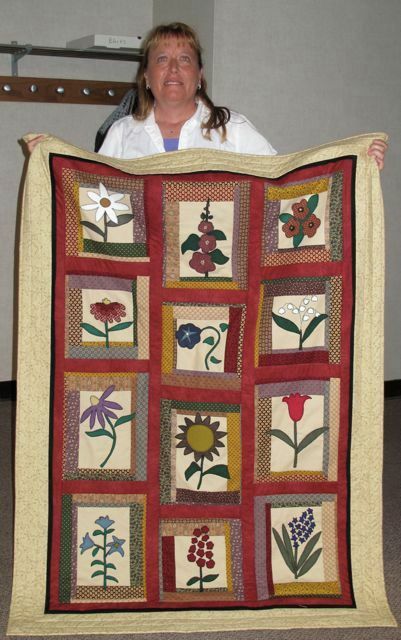 I made variations by adding appliqued flowers, leaves and vines on the wide outside border and added prairie points around the quilt. I also made a matching bedskirt and pillows. It took a few years to complete but I am pleased with the result. Another favorite is this Double Wedding Ring which I have also hand quilted. I used coordinated scrap fabrics for the arcs which have 10 assorted pieces in each. The end pieces of each arc has 2 colors alternating throughout the quilt. I quilted a pretty design in the large open space inside of each ring. While piecing this quilt, I measured each arc with a template to make sure I'd sewn each of the small pieces together accurately so that all the rings would fit. Marjorie just visited our group at its March meeting. 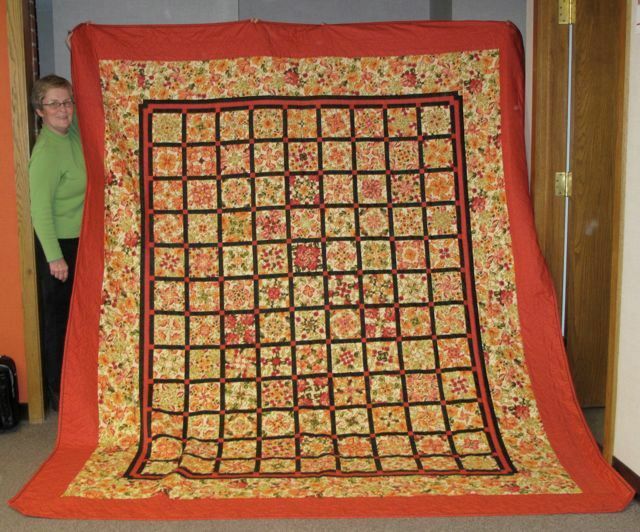 She had such a beautiful quilt that I wanted to share it. 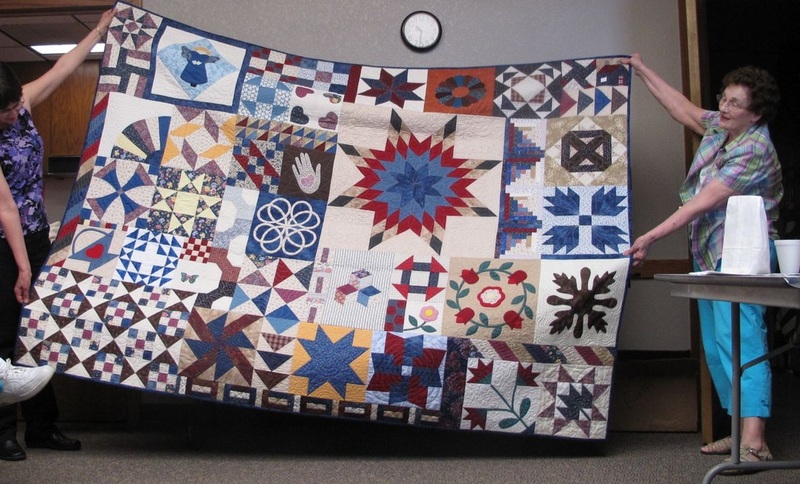 It was made in the style of the star mystery quilt our guild made a couple of years ago. She added some applique flowers. She may even consider joining our group. 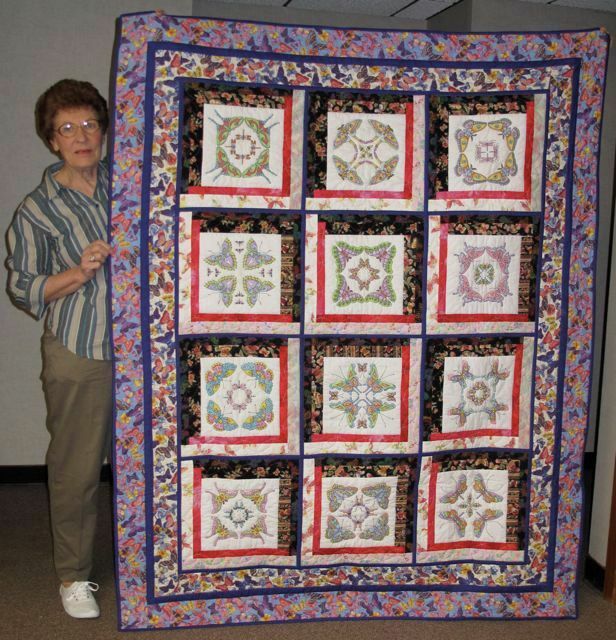 I started quilting in the late 1980s when some friends in Sutherlnd started a quilt guild. It was before the rotary cutter. We used cardboard templates and scissors. My how times have changed. I belong to 3 local quilt guilds and the state guild. I have found that I learn best by seeing other's work and become inspired. Also taking lessons at the yearly state convention have really helped. I find that my favorite part of the whole process is the color selection. Least favorite is the quilting process. Never can make it look as good as I think it should. Need more practice. I try and make one quilt a year for the Nebraska State Fair Show. Another learning process (from judge's comments)that I use to help improve my skills. Kim is one of our newest members. Her bio will be coming soon. Karla's biography will come soon. I love fabric and thread! I've been sewing for 49 years, since Home Economics in high school. I love to make garments and quilts. I enjoy every part of it--from the designing, to the sewing, pressing and quilting. 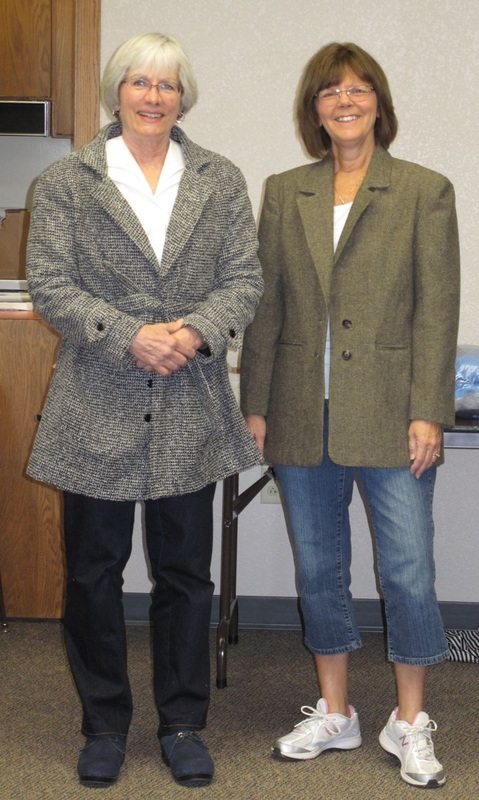 I retired early from a career as a physical therapist and had a machine quilting business in Hamilton, Montana for 7 years. My husband and I moved to Nebraska in 2011, and we just love it here. I sew 7 days a week out in my studio, which is a cute one-bedroom guest house on our property. It is an ideal space for creating, and I believe I am in Heaven on earth! (I finally have room for all 7 of my sewing machines to have their own space).. I so enjoy meeting and visiting with like-minded individuals who enjoy fabric and sewing just like I do. 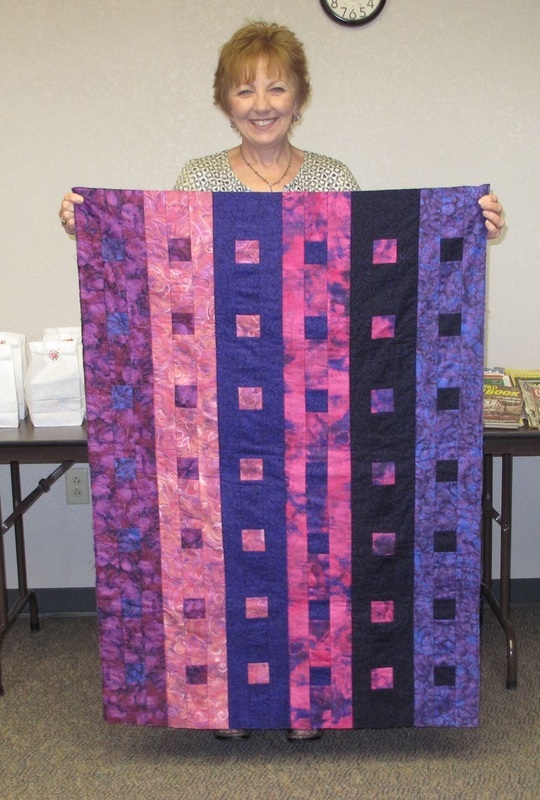 I was thrilled to join the Quilted Leaf Guild! We celebrate the life of this wonderful woman. 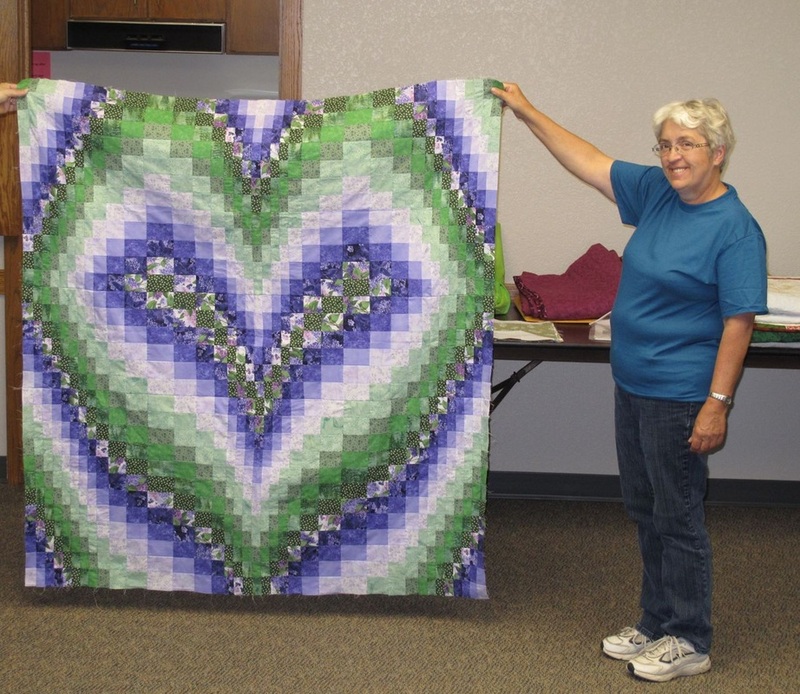 She was a vital part of our quilt guild and we will truly miss her. She will be guiding our stitches from her special place in heaven. Thanks, Ann, for the perfect example you were. When I was 5 years old Grandmother taught me how to knit and embroider. When I was in junior high she gave me embroidered state quilt blocks that her sister had started, but was unable to finish. Twenty years ago my husband, Troy, signed Grandmother and me up for a sampler quilt class. 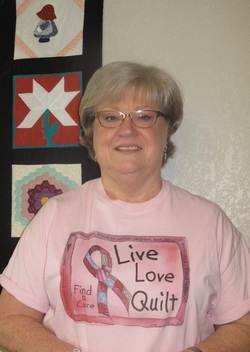 I joined the quilt guild in Grant and now have a passion for quilting. This passion has rubbed off on my daughter, Shana, and my daughter in law, Adair. Someday I hope to share it with my grandchildren. It is fun to get together with my sister, Brenda, and quilt for a weekend. I also enjoy going on day trips to quilt shops with Troy or friends to buy new patterns, more fabric, and quilting tools to add to my growing stash that is fun to share with new quilters. My mother taught me to sew when I was quite young. I have always enjoyed sewing, but hadn’t sewn in years when my friend showed me her beautiful quilts. 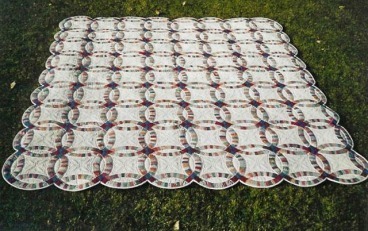 I had never been interested in quilting until then, but because her quilts were styles and colors that I love, I thought it would be interesting to learn how. I had tried once before, but threw my pieces away. I didn’t know about the wonderful tools and techniques. My friend said she would teach me how to piece and I am so happy that I agreed. Piecing is my favorite part! I am pretty recent at quilting, maybe 3 years or so. I’m not so fond of the quilting process, but I hope to learn more about how to use my quilting rack and machine to create pretty quilts. Quilting has given me something unique, creative, and fun to do, and new friends with whom to share it with. I also enjoy cooking, keeping my home, and playing with my grandchildren. I work at our family business, which is an agriculture retail and service company. I have five children, three live nearby, and two do not live nearby. I am so happy that some of my children have returned to make their homes here! Maybe the other two will be here someday too! I am an Elementary teacher (22 years) with a Masters degree in counseling. I have been married for 35 years to a wonderful man - and we have three grown children and four grandkids. Family life is a very important part of our lives. After 20 years of quilting, I can say my favorite to make are t-shirt memory quilts of our loved one's clothing. Also my children and grandchildren have helped design those made for them; which makes that shared creative experience even more special. 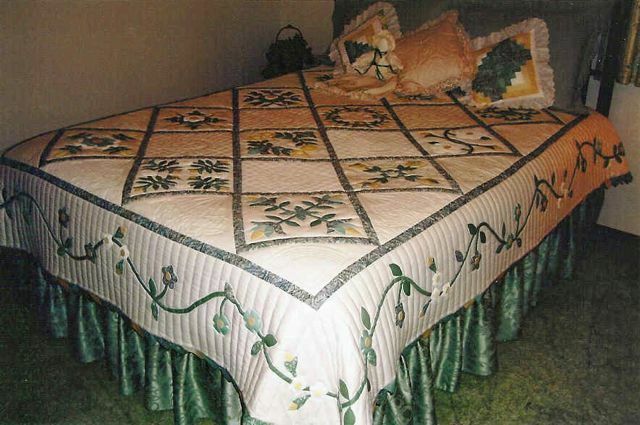 Quilts are memories you can see and touch! My grandmother and great aunts were avid quilters. 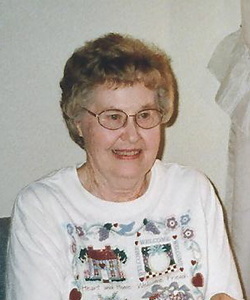 I remember visiting her in the rest home and usually finding her in the craft room working on a quilt. I got started quilting about 15 years ago when a Pennie invited me to a quilt guild meeting. I was hooked! I enjoy piecing, applique, paper piecing, etc. My favorite fabric to create with is batiks. I enjoy taking classes, sewing with friends, and family. I can't remember when I first became interested in quilting. I love working with pretty fabrics and communing with great friends who have the same passion. 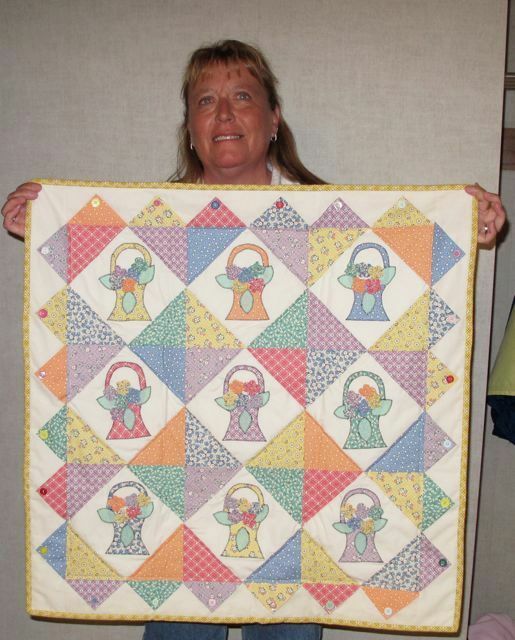 The first full size quilt that I made was a Sun Bonnet Sue pattern. This pattern I created myself while awaiting the birth of my oldest daughter, Sandra. So I guess you could say I've been at this 60 or more years. My passion really materialized after I retired in 1969. Then I took a few lessons which helped me greatly. I also crochet, knit and do counted cross stitch. You name it, I've tried it. This old saying fits me to a T. "Jack of all trades but master of none." But I enjoy what I am doing at the time or I can switch to something else. My husband and I farmed until his death in 1974. We had 3 children, Sandra, Terrell and Catherine. I have 5 grandchildren and 6 great-grandchildren. Two of the greats are Ethiopian children which my grandson and his wife adopted. Through the years I worked at various jobs to supplement the farm income. The longest employment was 18 years in the dietary department at Perkins County Hospital which came about after my husband's death. In 2007 my son and his wife built me a house in Sutherland which I moved into in June 2008. Here I pursue my love of quilting and also get the privilege of quilting and also get the privilege of babysitting two great-granddaughters off and on. 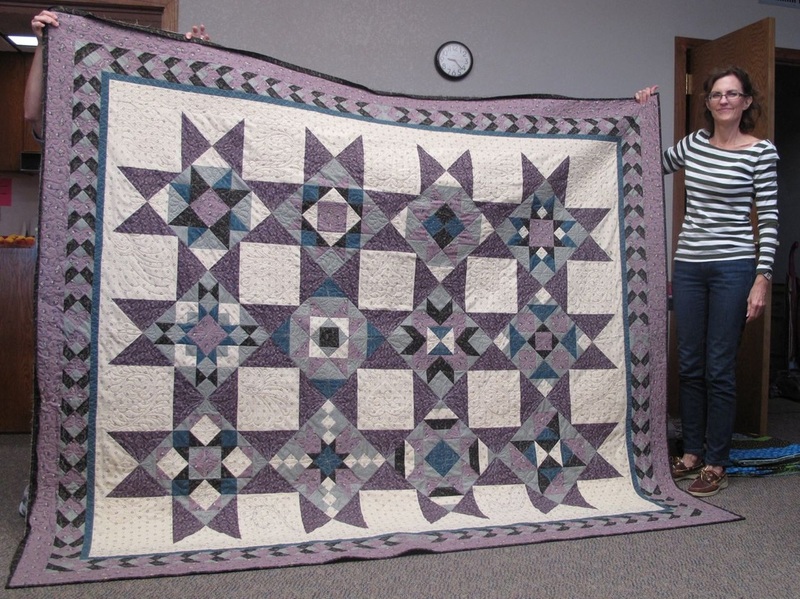 Mary moved to Omaha but plans to come back twice a year to quilt guild. 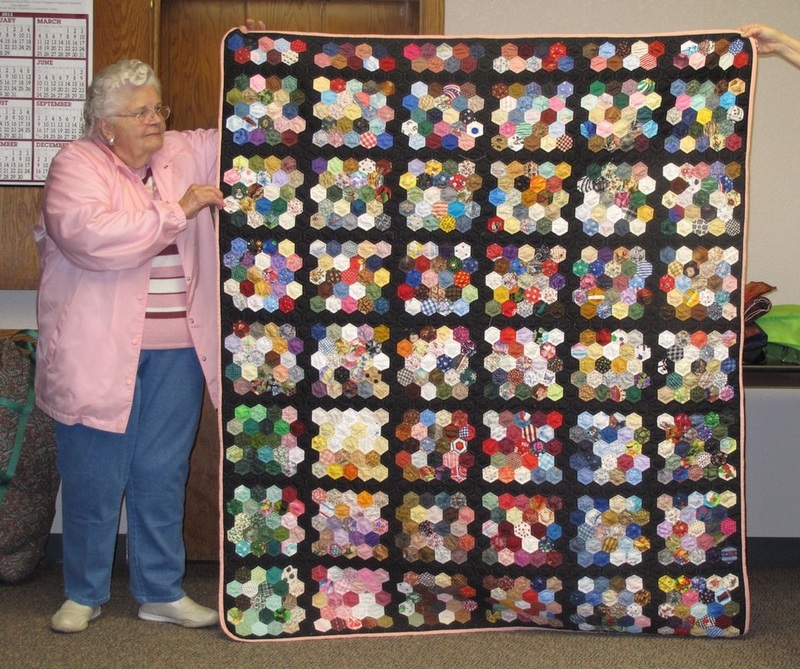 We will miss her and her beautifully quilted quilts.